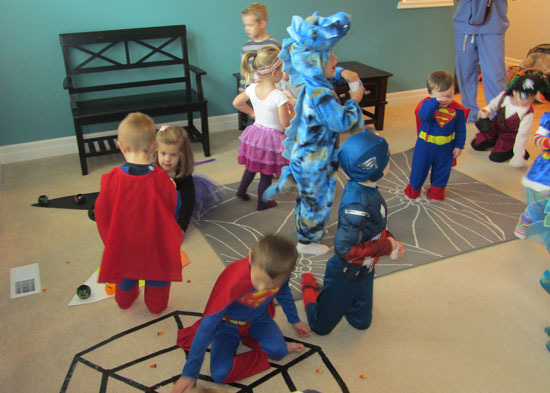 A friend from our play group planned a really cool Halloween Party for the kids. We had a great potluck lunch, games, and a Halloween egg hunt. It was the first of many parties. Later we had ward trunk-r-treat that the boys didn't get to go to because they were in huge trouble, Mike's work party, and then trick or treating in our neighborhood with friends. 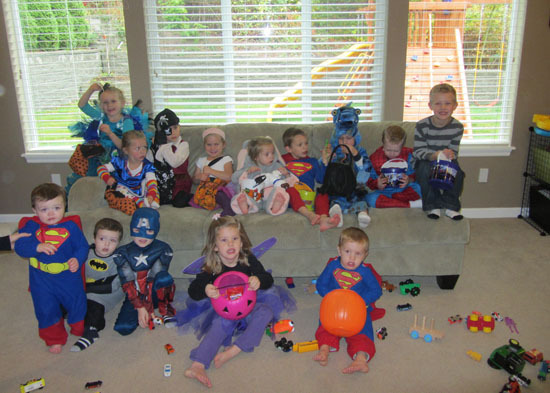 The kids made a huge haul on candy this year and had a wonderful time! i definitely need to hear more about the boys being in trouble! We will be there next week, so maybe a hang out on Monday or Wednesday?